Happy Hump-day ladies! I am bringing you a tiny slice of my organizationally obsessed mind today. One of my favorite things to do is to clean and organize...no I am not joking. I have been like this for as long as I can remember, as my mother would say I get it honestly. 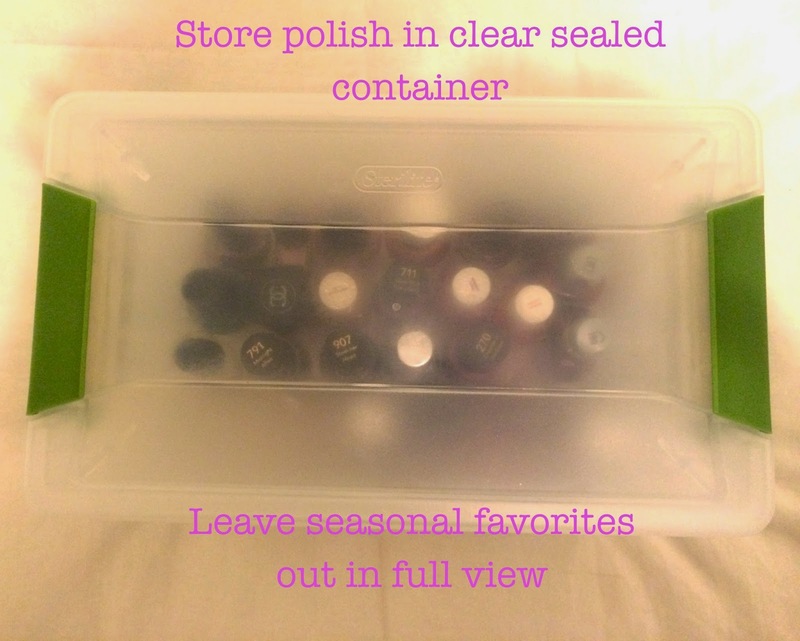 I love to see how people store things and it always gives me great ideas, so I am showing you how I like to store my nail polish. Also, I finally figured out how to write on my pictures.... blogger learning curve. I am getting there. 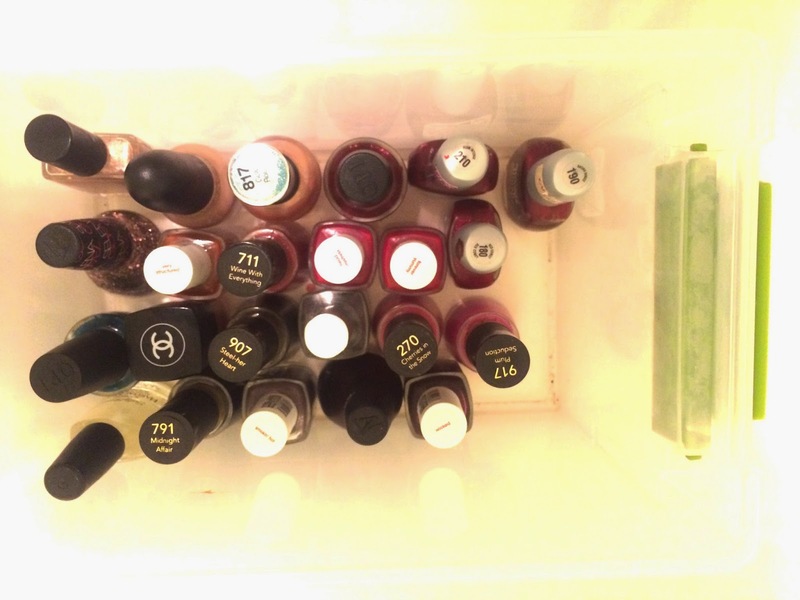 I store all of my polishes in the refrigerator because I think that it helps my polish last longer. I read this somewhere a long time ago and have been doing it ever since. I also love keeping my seasonal favorites out as a reminder to change my nail polish and have a little fun with them. I might be a nail polish hoarder too but I love adding to my collection. Let me know if y'all like these organizational posts and I might start adding them into my weekly rotation.